Precious little early Christian art has survived in the Holy Land, though this is where the religion itself was born. 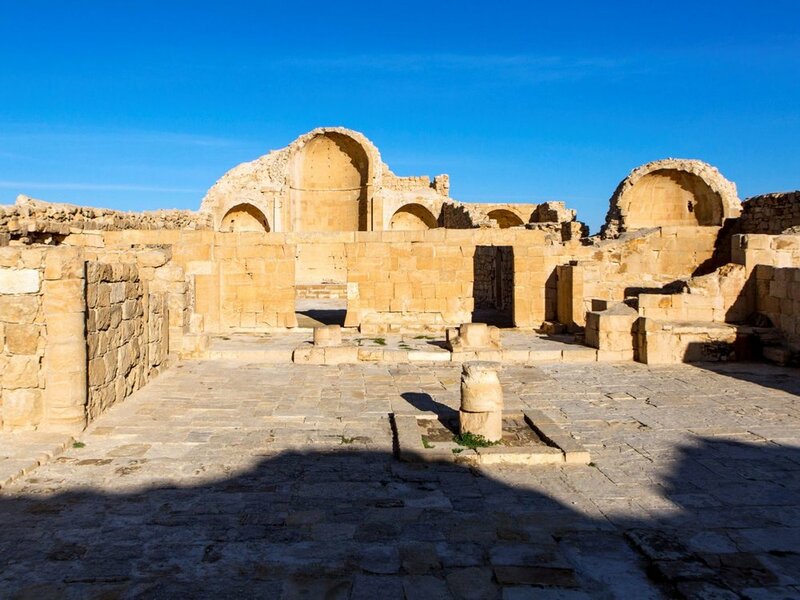 But now, an extremely rare depiction of Jesus from the early Christian era has been found in the ruins of Shivta, a large Byzantine farming village in the heart of Israel’s Negev desert. “His face is right there, looking at us,” says Dr. Emma Maayan-Fanar, the art historian who finally noticed the wall painting a century after it was uncovered. A first painting found by others in Shivta last year turned out to show Jesus’ transfiguration: the present team was the one to realize what the painting showed, but the drawing of his face did not survive the centuries. The second one shows his baptism and his face. Maayan-Fanar and the team – Dr. Ravit Linn, Dr. Yotam Tepper and Prof. Guy Bar-Oz of the Zinman Institute of Archaeology at the University of Haifa – described the find in the world archaeological journal Antiquity: "Christ's face revealed at Shivta".